We are all deeply affected by what people may or may not say about us. Oftentimes, in moments of loneliness and at times when we are looking for success, we may imagine people say things about us. And this can be very harmful. This is especially the case for an immigrant or the child of an immigrant (like Delmore Schwartz) who is trying to fit in to a new country. This fear of what others may or may not say about the immigrant may lead to depression, paranoia, or anger. On the other hand, this fear may lead to something creative. It could lead to humor or wit that fends with the desire to be accepted. No one truly exists in the real world because no one knows all that he is to other human beings, all that they say behind his back, and all the foolishness which the future will bring him. These lines imply that, in the “real world,” our existence is based on the fact that we know “who” we are to others (and not just to ourselves) and that our future is secure. But if this is not the case, Schwartz tells us that we don’t “exist” in the real world. Because we don’t know what other people really think about us, what they say behind our back, or what the future will bring, we don’t exist in the real world. Rather, we exist in the imaginary world. And our lack of knowledge, for Schwartz, is destructive. But there is more to the story. The lack of knowledge is not the problem, so much as our desire to know for certain what others think about us and our desire to live in a secure future. The frustration of this desire, for Schwartz, is to be found in our relations to others and the future. What we find in this “alphabet of tropes” (as John Llewelyn calls them in his book Emmanuel Levinas: The Genealogy of Ethics), is a register that includes terms that connote violence, on the one hand, and kindness on the other. What I find deeply unsatisfying about discourse on Levinas is the fact that when I speak with Levinasians it’s usually about Levinas’s philosophy as it relates to ethics, theology, politics, or art. These conversations tend to hinge on generalities. But I have found a number of friends in the Levinas community who are turning more and more to particular articulations of the ethical: in literature, film, and even comedy (wink, wink). By looking at particular artworks, which are the proper domain of metaphors, tropes, and relations, one can come to a better understanding of Levinas and all of his metaphors and tropes for the ethical. As you can see, I have turned from Schwartz to Levinas to show how Levinas may help us to understand what bothers Schwartz so much about existence (which is, to be sure, the relation to the other and the future). 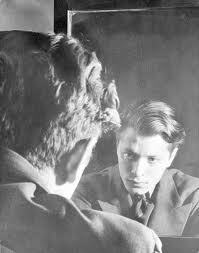 But what I’d like to do now is turn to a Delmore Schwartz poem that echoes the last lines of “America! America!” because they bring us closer to the specific experience, poetically articulated, of exposure. And this exposure, I aver, emerges out of the immigrant experience, on the one hand, and the experience of the face, on the other. Do they whisper behind my back? Do they speak/ Of my Clumsiness? Do they laugh at me, / Mimicking my gestures, retailing my shame? The last lines of the stanza repeat his lament: “They whispered behind my back, they mimicked me.” This belief tears the speaker to pieces and his response is to turn away his gaze from them, who we learn above, may be his friends. But that would leave him…alone. The third stanza, attempts to reconcile the two previous ones by speaking of love. But this reconciliation is incomplete as he doesn’t believe it is possible that one can be “equal” with the other in love: “What an unheard of thing it is, in fine,/ To love another and equally be loved!” Although the tone of these words is damning and even condescending, the speaker admits that “pride and wit destroy the heart of man.” And yet, he admits, that it is “true and sad” that “I need them/ And they need me. What can we do?” This need of friendship is important but it is exposed, as we saw in the first stanza, to ridicule and mimicry. And he fears that he is being mocked. On the other hand, he knows he mocks and mimics others. I need/ My face unshamed, I need my wit, I cannot/ Turn away. Our weakness, our necessities…our pride, our faces, our common love. If that is the case, he isn’t left only with what he knows so much as his wit. And, if we read this against the last lines of “America! America!” his knowledge of what the other thinks about him will always draw a blank. And, as in any cycle, this brings us back to the first lines of the poem. In my reading, the final lines of this poem only bring us back to the beginning. And this is where Levinas can lend a helping hand. Turning to Levinas, we can say that this poem is based on an asymmetry that emerges out of a relationship to the other. For Leinvas, unlike Buber, the relation to the other is asymmetrical. What Schwartz does, vis-à-vis this asymmetrical relation, is to give voice to the questions, imprecations, and reflections of someone who is persecuted by the other and yet who “needs” the other. The only problem, however, is that the poet realizes that his face may never be “unshamed.” And, if we read this against “America! America!” we realize that this has much to do with immigrant experience, as well. For the immigrant desires success, but is more familiar with failure and negativity that in its negation. Schwartz doesn’t look to fool himself. He looks to answer to the other. But the only way he can retain his pride and his minimal sense of self is through wit. In fact, his wit saves him from being deluded by the belief that one can be “equally loved.” But he is at his wits end. He can’t keep on going through this process; but as the poem teaches us, as long as he turns to the face of the other (and as long as he wishes to retain some sense of self) he will have to start all over again in the first stanza. He will, like many Jews, start with questions that concern the other. The whole process is foolish, but, as the poet realizes, it is inevitable. And, as the son of Jewish immigrants in America, Schwartz knew it was inevitable.